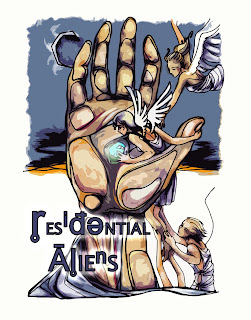 ResAliens Press publishes speculative fiction with a spiritual thread. SPECIAL FEBRUARY SALE: E-book only 99 cents! If you have a nostalgic fondness for old episodes of the Twilight Zone, then you'll enjoy Stoney M. Setzer's collection of short fiction. 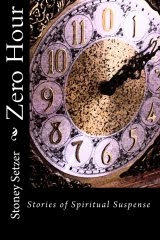 In Zero Hour - Stories of Spiritual Suspense, Setzer combines mystery, thriller, and moral themes into a family friendly volume. Think Mystery Theater with a spiritual twist. Stoney M. Setzer lives outside of Atlanta, GA, with his beautiful wife and three wonderful children. Stoney strives to create suspenseful stories with Christian themes and his works have been featured in Residential Aliens, Christian Sci-Fi Journal, Fear and Trembling Magazine, as well as a number of anthologies. He is employed as a middle school special education teacher. Catch him blogging at Zero Hour. 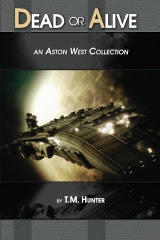 Dead or Alive - An Aston West Collection by T. M. Hunter is a special collection of 11 new and classic space opera tales featuring everyone's favorite space pirate, Aston West. Ride along with Aston as he treks across the galaxy and discover for yourself why he is so often wanted either dead or alive. T. M. Hunter’s short stories have appeared to critical acclaim in such publications as Ray Gun Revival, Residential Aliens, and Golden Visions Magazine, and have twice received P&E Readers Poll Awards. He currently has two novels with Burst Books, Heroes Die Young (Best-Selling Novel of 2008) and Friends In Deed. Other titles include his novella Seeker, a sci-fi thriller The Cure, and the first Aston West Triple-Shot featuring “Dead Man’s Forge” and two other adventures. Learn more about T. M. Hunter and read plenty of free excerpts and short stories at AstonWest.com. While the Morning Stars Sing features more than 30 short stories, poems, and illustrations. This collection of spiritually infused speculative fiction ranges from SF and fantasy to magic realism and supernatural thriller and showcases both new and established writers who will keep you pondering their stories long after you set this volume down. While the Morning Stars Sing compiled and edited by Lyndon Perry, cover art by Lance Red. Contributors include: Pete Mesling, Aaron Polson, Steve Goble, Breanna R. Teintze, Rodney J. Smith, Stoney M. Setzer, Jonathan D. Stiffy, Marshal Latham, Margaret Karmazin, Jonathan Shipley, Cate Gardner, Rachel Starr Thomson, T. J. McIntyre, J. J. Steinfeld, Rachel Kolar, Mark Joseph Kiewlak, Michael W. Garza, R. L. Copple, Fred Warren, Vonnie Winslow Crist, Joyce Frohn, Carole McDonnell, Kat Heckenbach, Ray Foy, Harper Hull, S. J. Higbee, Jeff Draper, Richard H. Fay, John C. Mannone, Brad Foster. 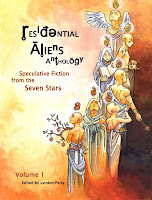 Residential Aliens Anthology, Volume 1 boasts 24 stories of "Speculative Fiction with a Spiritual Thread." Compiled and edited by Lyndon Perry, cover art by S. Perry. Featured authors: Andy Bowers, James K Bowers, Rob Carr, Patrick G Cox, D S Crankshaw, Merrie Destefano, Dan Devine, George L Duncan, Dave Gudeman, Rick McQuiston, Alex Moisi, Lyndon Perry, Curtis Schweitzer, Stoney M Setzer, G Glyn Shull Jr, and Gerry Sonnenschein. 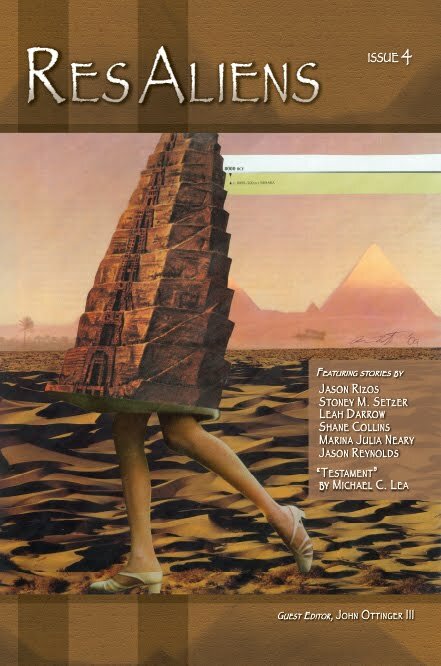 + Strange Worlds of Lunacy, co-editor, Lyndon Perry, cover art by Richard Svensson. 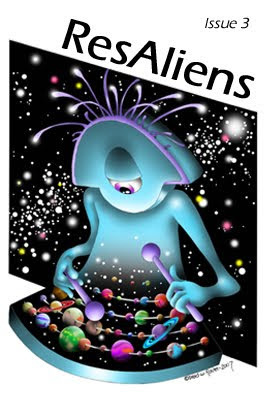 A collection of the funniest bits of speculative fiction in the galaxy! Issue 5 features 7 dark fantasy stories that, while not necessarily spiritual in nature, definitely touch on some eternal, if a bit disturbing, themes. 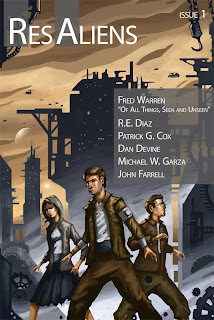 Also included is an interview with the cover artist, Jason Zampol, and a review by Fred Warren of the space opera anthology, Zero Gravity. + Paperback only $8.00 plus shipping. This "generally speculative" issue features stories of an eclectic nature. Kind of like the cover art, they're hard to categorize. We have science fiction, sure, but also historical fiction and future apocalypse. Guest editor, John Ottinger III selected these 7 stories and provides an editorial as well. Issue 3 features an 'alien' theme - the good kind and the, um, not so good kind - and boasts 8 stories that will either give you the creeps or make you laugh. Or both as the case may be. This issue also includes a book review by Jacob Edwards of Tom Holt's Blonde Bombshell. 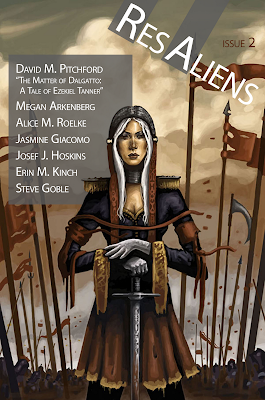 Issue 2 features 7 short stories of fantasy from David M. Pitchford’s historical pirate adventure to Megan Arkenberg’s Arthurian piece. If you’re into dragons and danger, you’ll enjoy Alice M. Roelke’s fiction, and if you like humor, Josef J. Hoskins delivers. Jasmine Giacomo’s story has the flavor of a fairy tale mystery, while Erin M. Kinch’s piece delves into sorcery, temptation, and love. Rounding out the issue is Steve Goble’s dark fantasy. In this premier, we are proud to bring together 6 authors who will pilot us on a science fiction journey to outerspace. You’ll be transported from the asteroid belt in our own solar system to the far reaches of the galaxy and back again. You’ll encounter mystery, miracles, suspense, surprise, and even a bit of humor.